Psoriasis is a serious incurable medical condition with chronic inflammatory disease of the immune system. Psoriasis involves the skin and nails, and is associated with a number of comorbidities. Skin lesions are localized or generalized, mostly symmetrical, sharply demarcated, red papules and plaques, and usually covered with white or silver scales. Lesions cause itching, stinging and pain. Psoriasis have affected more than 2% of world population which approximately 125 million people are affected, according to recent World Psoriasis Consortium in 2010. Member States from World Health Organization (WHO) recognized that too many people in the world suffer needlessly from psoriasis due to incorrect or delayed diagnosis, inadequate treatment options and insufficient access to care. Therefore, attention has been drawn to public health impact of psoriasis and the urgent needs for psoriasis awareness has been recognized by WHO worldwide regardless of ethnic origin in all countries. 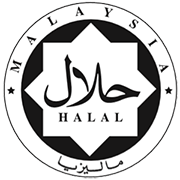 As for now, psoriasis treatment is still based on controlling the symptoms despite eradicating it. 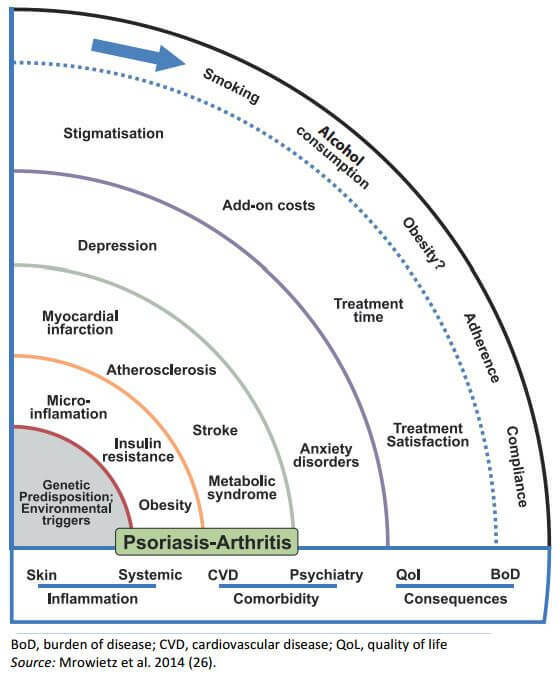 In 2015, the notion is that psoriasis is a complex disease leading to numerous consequences for patients’ lives, which shown by figure below. As attempt of measuring extent of disability or loss of health due to diseases, a common metrics called disability-adjusted life year (DALY) used for such measurement. DALY equals the sum of years lived with disability (YLDs) and years of life lost (YLLs). One DALY equals one lost year of a healthy life. Until, a hope is likely found with "EnerFlex Anti-Psoriasis Personalised Nutrition"
EnerFlex® Innovative Personalised Nutrition is probably the First ever in the World with promising outcomes as fast as 3 – 7 months targeting at root cause of the disease while at the same time taking care of comorbidities associated with psoriasis.